Beauty is subjective – different aspects of beauty will effect us in different ways according to our local standard. 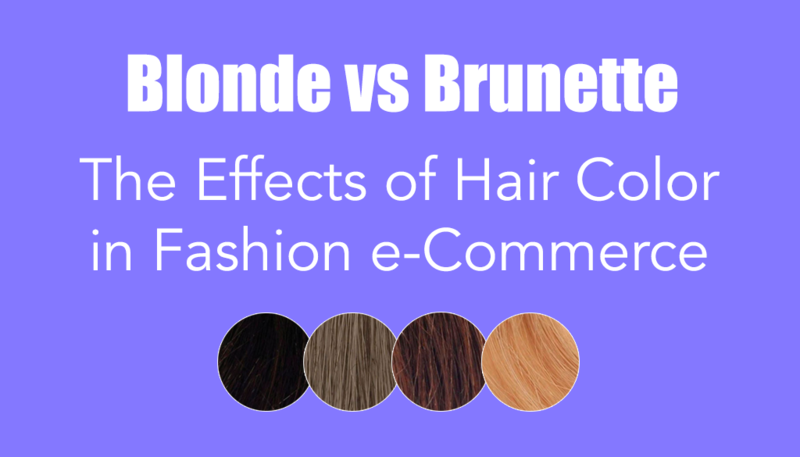 The goal of this study is to understand how hair color effects user engagement and sales in fashion e-commerce. We’ll use examples of user generated content (UGC) to understand these effects on users. We have collected data from the Bllush platform across many retailers. The data is 100% anonymised and doesn’t disclose any personal information of the end-user. Multiple data points helped us analyse the macro-trends across markets. The focus of this study is the German market and the approximate age of the end-user is 18-35 users located in Germany. The sample size of the study is approximately 100 UGC images with a total of over one million impressions. 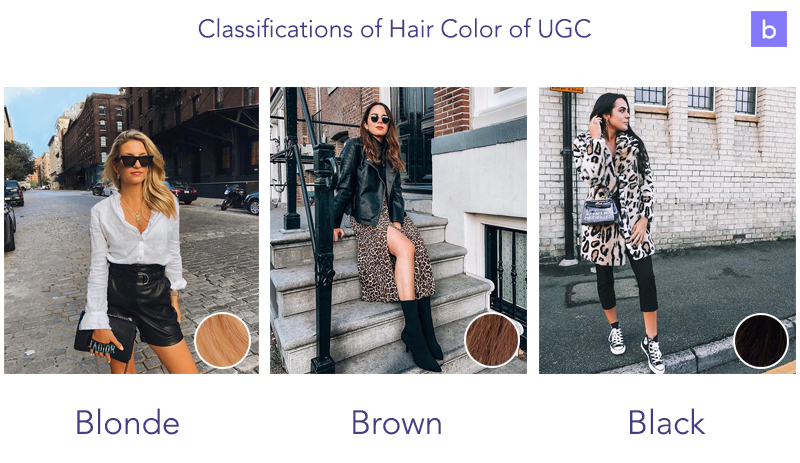 We classified every UGC image into one of the following hair colors with only the top three hair colors used. We summed the average number of views received per image. We then grouped the data into hair color with manual tagging. That shows us raw number of views as an absolute, which varies across retailer. We then normalized the numbers according to the number of page views in that time frame. This resulted in a common CTR which helped compare between different websites. 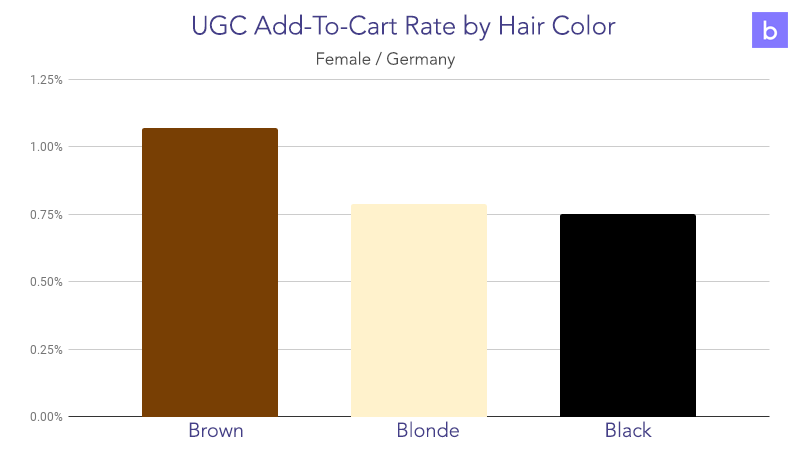 The report below shows the click through rate of fashion outfit images according to hair color. The tests were measured in a grid based UI showing images. Now it’s getting interesting. When we look further at what images result in add-to-cart of associated products, the results are the opposite. Photos of brown haired women have the highest CTR with blonde and black hair far behind. We’re finally at the last stage to see which UGC images actually converted the best. This follows the funnel outlined at the start of this post. The images who resulted in views, which later motivated the users to add the associated products to the shopping cart ending in a purchase. Black hair is the strong winner here. The results are surprising! 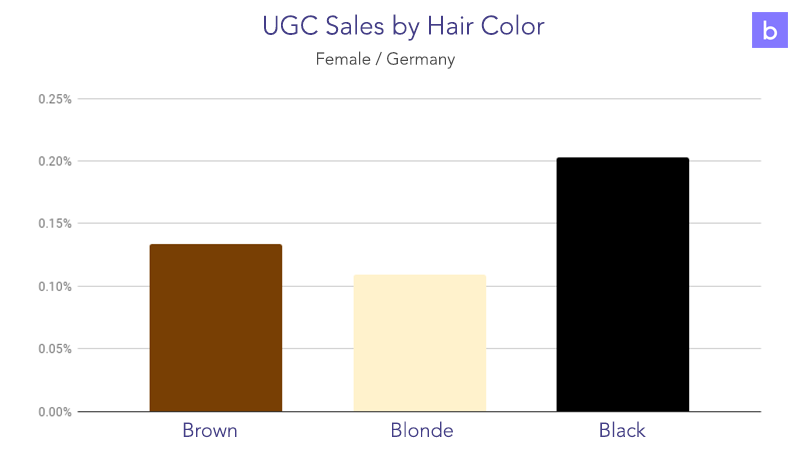 Although blondes lead the engagement, sales are the highest for black hair. There is still room for further studies in these spaces. By using larger amounts of data across different countries we might see interesting patterns. It’s also just as important to view the whole funnel and not only the initial click. If you want to be the first to view future reports, subscribe to our newsletter.